McCambridge Duffy can advise and organise Individual Voluntary Arrangements for sole traders and self employed individuals. An IVA is a legal agreement between you and your creditors where you agree to pay back a portion of the debts that you owe. McCambridge Duffy can negotiate reduced payments with your creditors to agree on a sum that is affordable to you to pay. These payments go towards the total percentage of debt that you owe to your creditors. 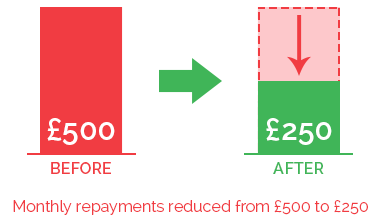 Once you enter into an IVA you will make fixed monthly payments that will generally lasts for 60 months (5 years). In some circumstances however, an IVA can be completed in a few months, but this would normally involve introducing a Lump Sum into the IVA, hence the name Lump Sum IVA. How does a Sole Trader get an IVA approved? Generally to qualify for an IVA you will need debts of over £15,000 and more than two creditors. It doesn't matter whether you are a tenant or a homeowner. Due to the nature of an IVA being a formal agreement, it is not something you can set up on your own. For this reason you will need a Licensed Insolvency Practitioner like McCambridge Duffy to propose and set up the IVA for you. 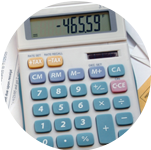 NOTE: In an IVA you will have an agreed budget for your living costs. There are allowances for this in the agreement. These expenses will be mostly based in what you currently have to pay out each month. You should declare all normal monthly expenses to your creditors so they understand your situation more clearly. There may be some restriction on some expenditure items, such as mobile phone for example. Why use McCambridge Duffy for your Sole Trader IVA? McCambridge Duffy have 4 full time Insolvency Practitioners working in house and we are one of the biggest Insolvency companies in the UK and Ireland. When you contact us our experienced Debt Advisors will happily go through your debt situation on the phone to see if an IVA is the best debt option for you. We will do a detailed analysis of your situation including your income, your outgoings, your bills and debts and anything else that you would like to discuss. Once we have all the information we need we can determine whether or not an IVA is your best course of action. Once we know your options if you decide that you want to proceed with an IVA then we will take the necessary steps, along with our highly qualified Insolvency Practitioners, to put your IVA Proposal in place and forward it to your creditors for negotiation. If all goes well with the IVA Proposal and at least 75% (by debt value) of your creditors agree to the IVA, then your IVA can be set up.